Blackleg continues to be one of the 'big three' plant diseases to rob yield from Canadian canola crops. The NEW blackleg race test is an additional tool to use with best management practices (BMPs) for the disease. Find out how to properly use blackleg race ID information and why resistant varieties need agronomic support. Join Justine to find out what the number one yield robber is in Western Canada. 10:15 am Clubroot - What We All Really Need To Know! 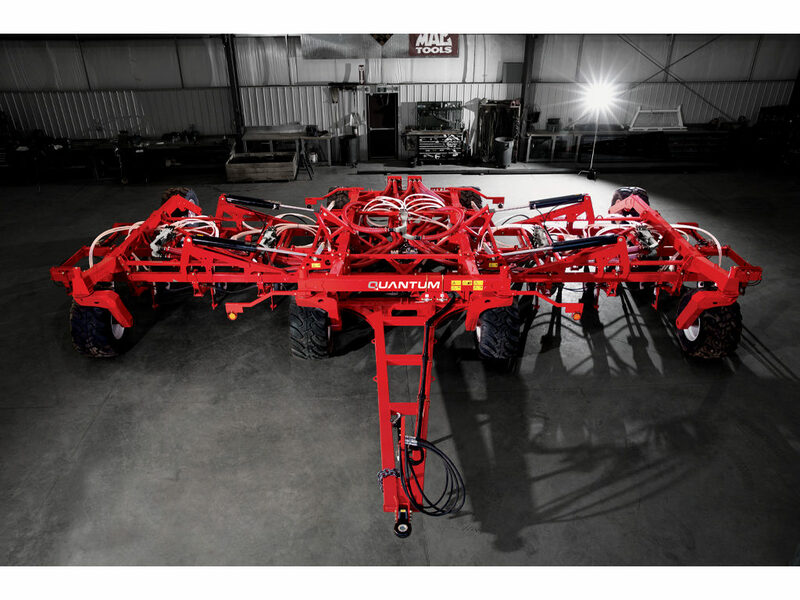 9:15 am On-Farm Trials – Why You Need To Do Them! 11:15 am Resistance Management 101 - Can We Take an Integrated Approach? 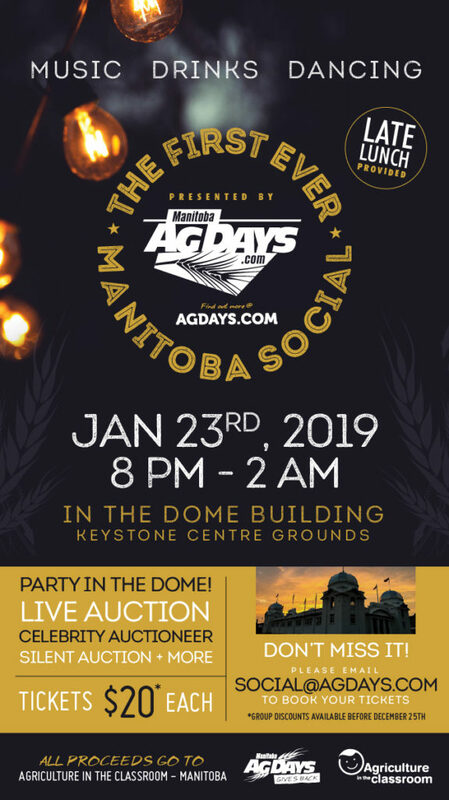 Manitoba Agriculture is hosting a Breakfast session on Thursday Jan 24 at the 2019 Ag Days from 7:30-9:30 am in Salon B. We are featuring Bill Greuel from Protein Industries Canada (PIC), an industry-led value chain consortium of small- to large-sized enterprises involved in food and food ingredient manufacturing, agriculture and food-related services, research and development, technology, economic development, finance and investment, education and training. PIC is a not-for-profit corporation guided by a board comprising industry leaders and supported by Ag-West Bio and regional partners. Bill Greuel will be sharing PIC’s experiences in developing the Protein Sector in western Canada, specifically, the process for identifying and evaluating opportunities, and some of the lessons learned. Discussion will follow looking to identify potential interests, discover what would help facilitate these enterprises and encourage those open to opportunities to consider Value Added Agriculture. RSVP by January 21, 2019 to Laurie.Crowe@gov.mb.ca or by phone at 204-761-0551. Eliminate Your Energy Bills: Presenting: Alex Stuart, Chief Operating Officer Sycamore Energy Inc. (www.sycamoreenergy.com) is Manitoba’s leading installer of solar energy equipment. Learn how you can hedge against future electricity increases by installing a Solar PV System on your farm or commercial property. Take advantage of the federal tax initiatives and tax breaks. Seminars will be offered on the following days and times: January 22, 2019 - 10AM, 1PM, 3PM January 23, 2019 - 10AM, 1PM, 3PM January 24, 2019 - 10AM, 1PM, 3PM Register for free at www.sycamoreenergy.com before January 15th, 2019 and be entered to win a $500 Visa gift card. Presenting on behalf of the Office of the Fire Commissioner will be: David Schafer – Fire Commissioner Cheryl Lashek – Director of Inspections & Technical Services Neil Armstrong – Program Manager – Gas & Oil Inspections “Installing Your Grain Dryer - A Guide for Agricultural Producers” Recognizing the importance of crop drying equipment to producers, and in particular during the busy harvest season, ensuring that you have the right information to assist with approval and installation of your Grain Dryer equipment is essential. This presentation will walk you through some very important questions regarding the approval and installation requirements to avoid un-necessary delays and expense at a critical time. This presentation is based on the recently developed “Installation Guide for Grain Dryers” produced by the Office of the Fire Commissioner in cooperation with Manitoba Hydro and Manitoba Agriculture, and other stakeholders. Last year, I was honored to attend the Global Youth Institute in Des Moines, Iowa as one of four Canadian delegates. I had the opportunity to meet and listen to some of the world's top scientists and food experts as well as meet some of the most intelligent teenagers in the world. Part of the trip was writing a five-page research paper on an agricultural issue in a developing country; so I wrote mine on sustainable beef production practices in Brazil. Going on this trip made me realize my potential and my goals of sharing my Ag story with the public. 3:00 pm Nine Out of Ten of my Ideas Failed; How to Successfully Run a Small Business From Your Farm Shop. Many farm operations are incorporated, and they need to be for tax purposes so that they can manage cash flow and help minimize taxes, however so many individuals are not treating their corporation for what it is - a deferral. As farmers, we are allowed the cash basis of accounting and so we are very familiar with deferral of taxes, but some day it catches up with us. I will explain how some ongoing tax planning and a pay yourself strategy can pay you dividends when it comes to retiring or winding down your operation. Small to medium sized farms are often left with the impression that they aren't competitive and that they don't have a future. However, smaller operations can often be highly profitable because they have cost advantages and can be more nimble in taking advantage of opportunities that may require more time and effort than larger operations are willing to invest. Don't feel inferior to larger operators with bigger and newer equipment. Watch your bottom line and look for opportunities. Kevin will have interesting and useful information for farms of all sizes. 9:00 am Five Major Changes in Drones that will Change Everything! 9:45 am We’ve got an App for that! 10:30 am Which Opener is Right for Your Farm? 10:50 am Got Data – What Now? Farmers are the backbone of society, yet they make up less than 2% of the ever-growing population. Farmers and the agriculture industry are one of the fastest evolving industries when it comes to digital technology. It is easy to look back and think about where agriculture has come from but now we need to turn and look to the future. From ancient hand-planted gardens to sensors, machine learning, autonomous machines and blockchain technology; what's next in agriculture? Discussions on opportunities for Canada's high-quality wheat, the challenges facing our wheat industry (market access, glyphosate, public trust), the role of New Crop Missions, and how Cereals Canada works towards the advancement of Canadian’s wheat industry on the global stage. 3:30 pm Are You a Farm or a Hedge Fund? Join Brennan for an update on the current state of the global and domestic grain markets. Brennan will make you look at tools that are available to reduce your risk through market strategies and indicators that are available to all farms. Brennan will challenge how you think about your farm’s grain marketing plan and overall approach to grain sales. 1:00 pm Purchasing Farmland - How to get the Edge on the Competition! Join Tere Stykalo, Regional Ag Leader, from MNP and a panel of experts who will discuss different strategies to give you that competitive edge. These experts come from a field of tax, succession and finance. 1:45 pm Where's the Beef? 2:30 pm Cattle Market Update - Let’s get Mooooving! 3:15 pm Graze Anatomy - Planning Your Grazing System From the Ground Up! Field Peas are making a comeback in Manitoba. There have been improvements in varieties, weed control and most recently new options for marketing of peas. Interest in peas has been building and growers would like to have more information on rotations, disease issues and profitability to help make informed cropping decisions. I will outline the past, present and future of field peas in Manitoba. Roy will summarize the 2019 Organic production costs, AgriInsurance coverage, and summary analysis. He will show a comparison of the profitability of both a conventional and organic crop production system. 10:00 am Can Organic Agriculture Maintain Its Strong Production Values as Farms get Bigger? Fertility, Weather and Markets – each one affects each other! 1:00 pm How Will The New Tax on Split Income (TOSI) Rules Affect Your Farming Operation?